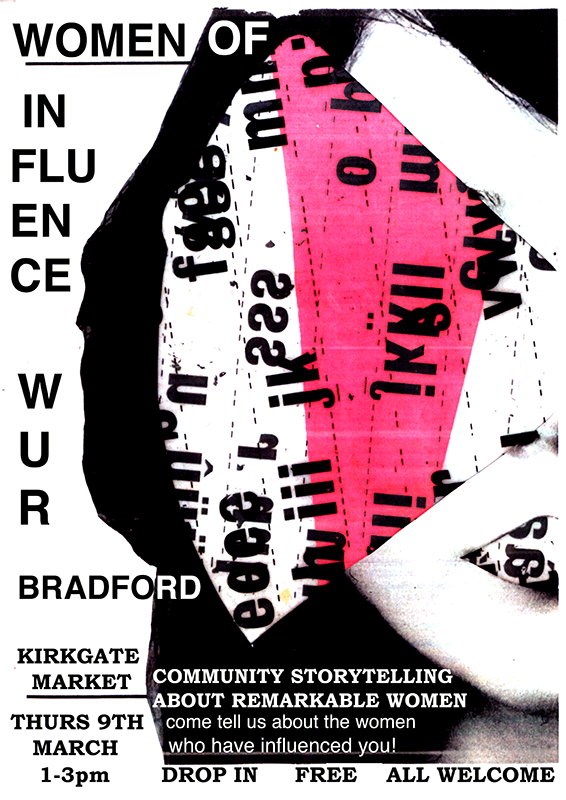 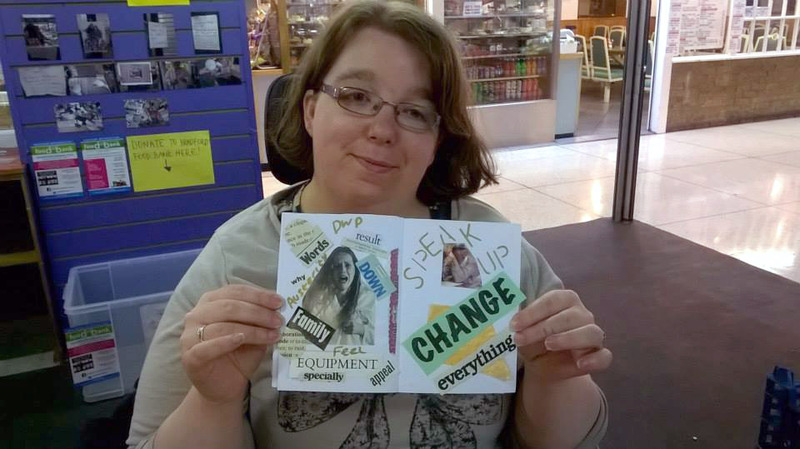 Jean is founder of ‘Wur Bradford’ (“Wur’ means ‘our or ‘we are’) a responsive grassroots arts project begun in 2015, which explores the connections between imagination, community and social change with people. 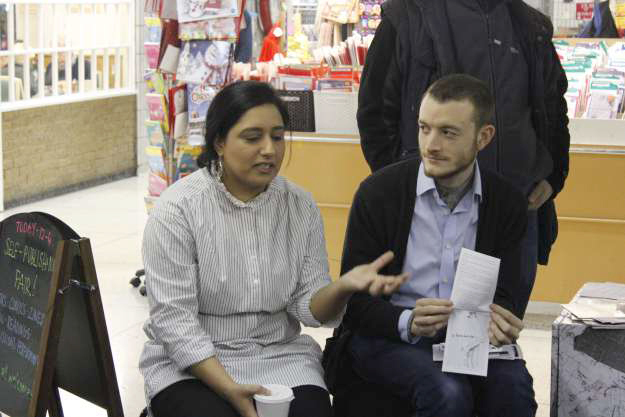 Jean was joined in 2016 by fellow artists Chemaine Cooke and Uzma Kazi, who together make up the core team behind the project. 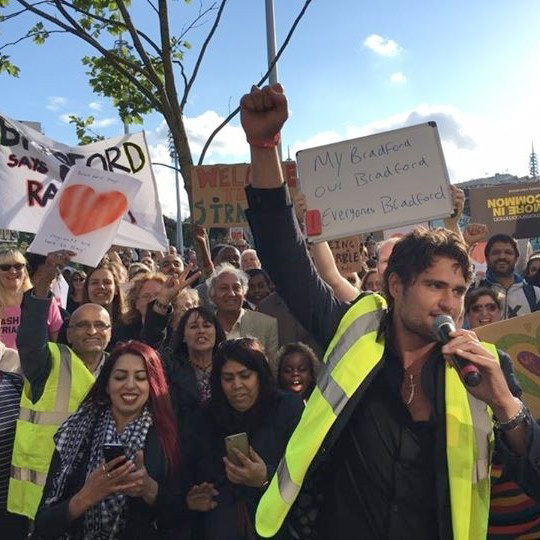 Wur Bradford has worked extensively with many individuals, communities and organisations in the city, from open projects with people in public spaces to focussed projects with particular groups. 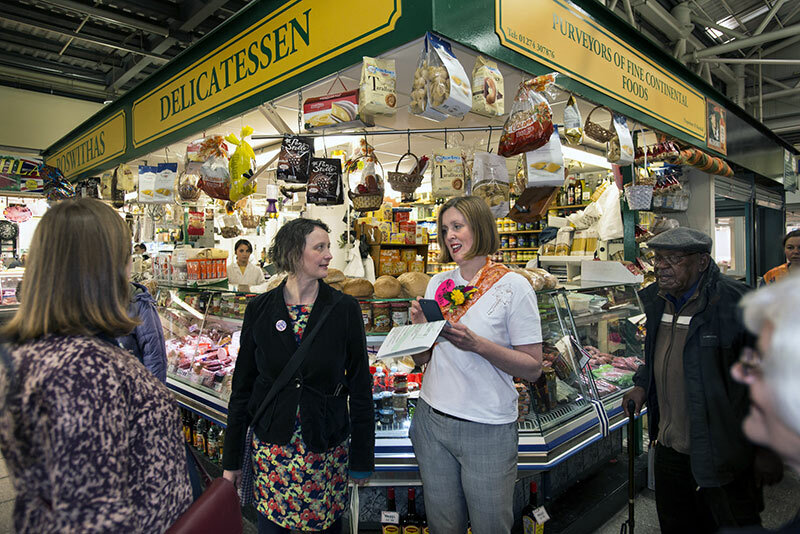 Wur regularly work in partnership with and for other organisations around Bradford and have delivered projects with Bradford Council, Impressions Gallery, South Square Gallery, The Brick Box, and University of Bradford. 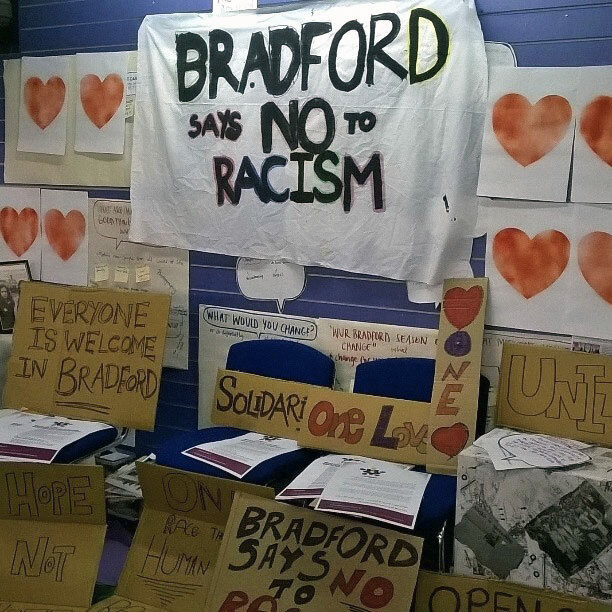 Wur regularly participate in major Bradford events such as Bradford Refugee Week, WOW Bradford (Spirit of 2012) and were part of University of Bradford’s Gallery II ‘Full Scale: Art’s Use in the Real World’ – an international exhibition in 2017 around socially engaged practices. 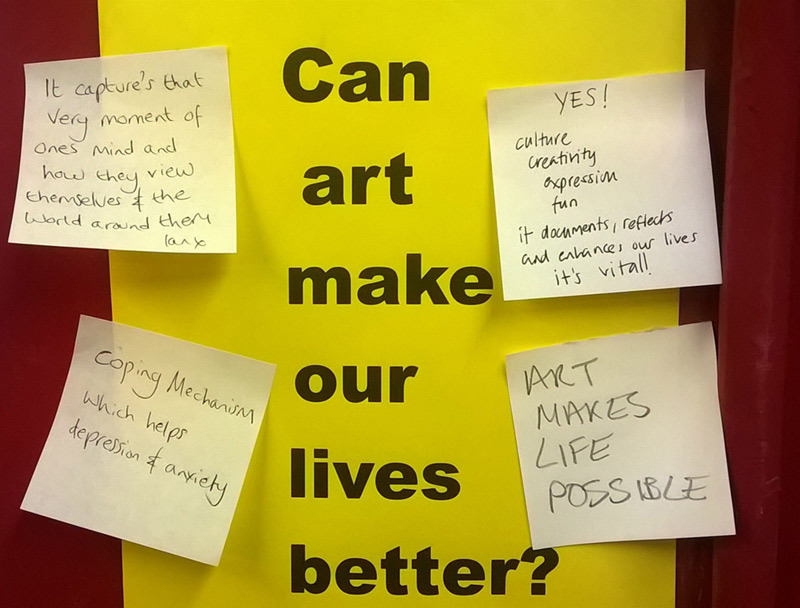 Their work has gained national interest resulting in invitations to speak at conferences and events such as Counter Art Book Fair, Plymouth; Engage conference, Ruthin, North Wales among others and have been featured in the Guardian Culture Professional. 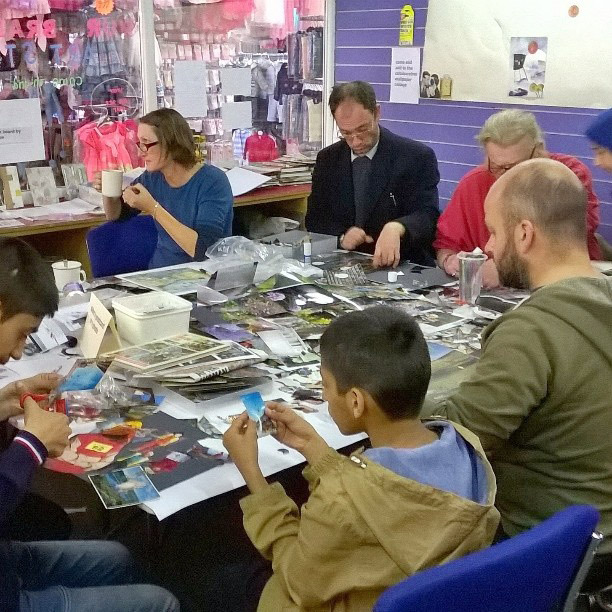 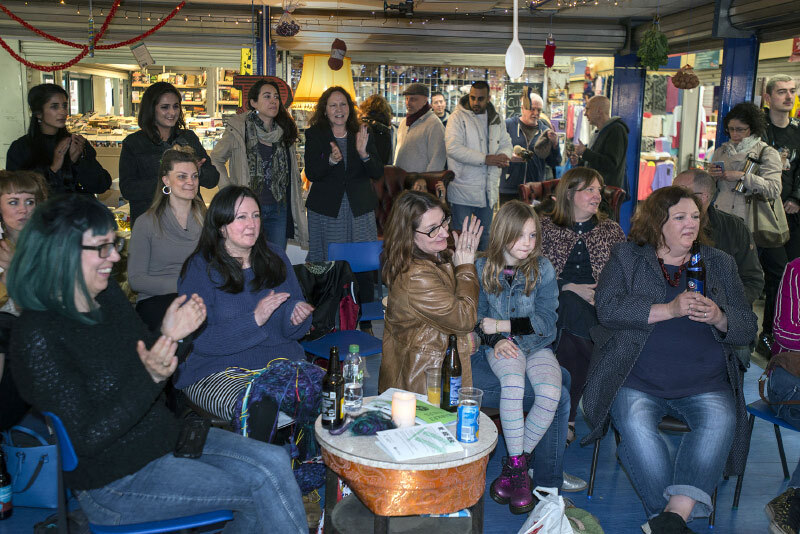 Open weekly sessions in Bradford’s Kirkgate Market 2015-2018: collaboratively doing everything from creative workshops to skills sharing, discussion events, art parties, self- publishing fairs as well as helping to creating campaign materials and organising actions. 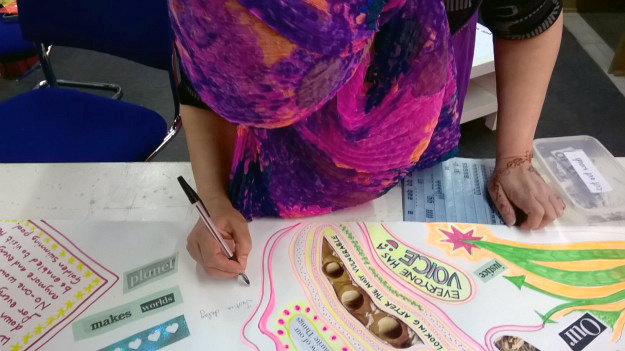 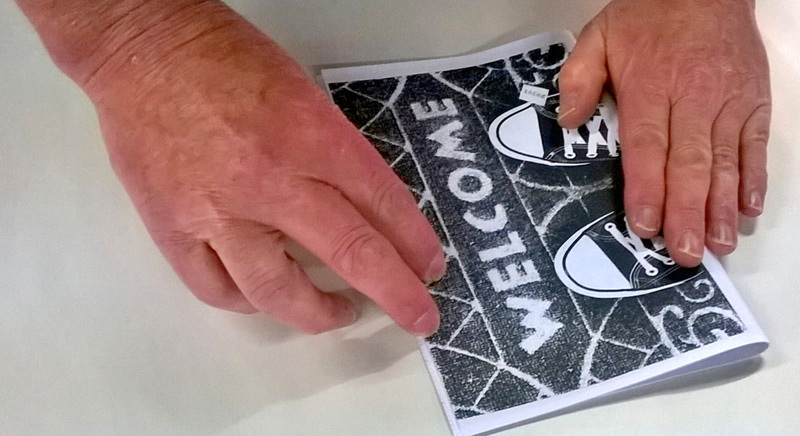 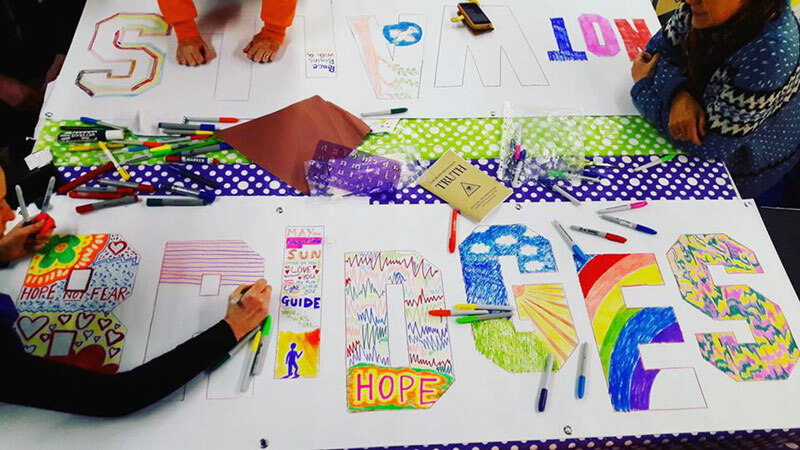 Power Up Creative Resistance: (2017) a year-long action research project in partnership with University of Bradford Peace Hub and funded by Joseph Rowntree Foundation, exploring the connections between art and activism with people in the city. 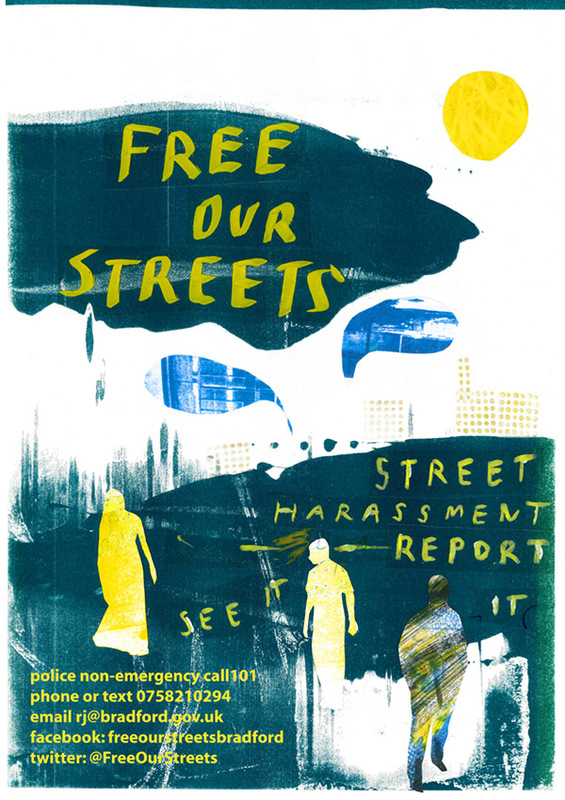 Free Our Streets: a commission to work with community groups to co-produce visual campaign materials for a multi agency campaign combatting sexual harassment with partners Bradford Council, Restorative Solutions, West Yorkshire Police, Bradford College, the University of Bradford and the Bradford Hate Crime Alliance. 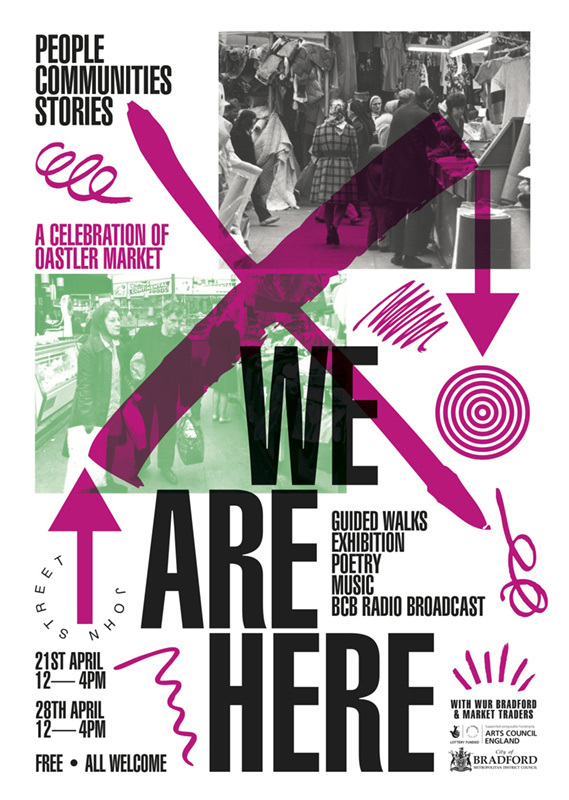 WE ARE HERE: 2018: a project documenting the stories and communities of the city’s Oastler Market via a programme of guided walks and events in collaboration with market traders, funded by Arts Council England. 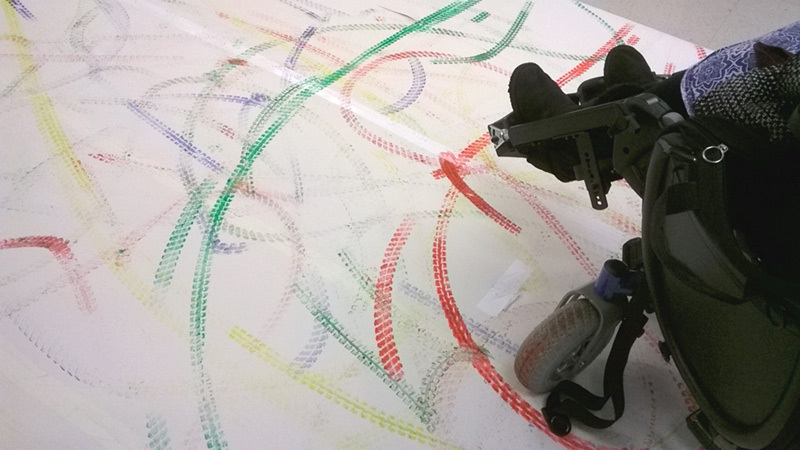 A concurrent exhibition of the project was presented at Kala Sangam April – June 2018. 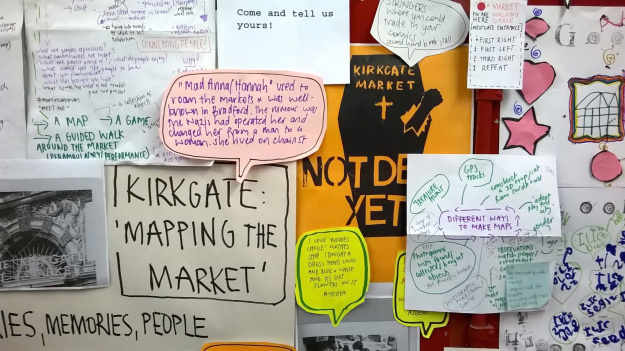 Asking questions of ourselves and others in our Kirkgate Market space.